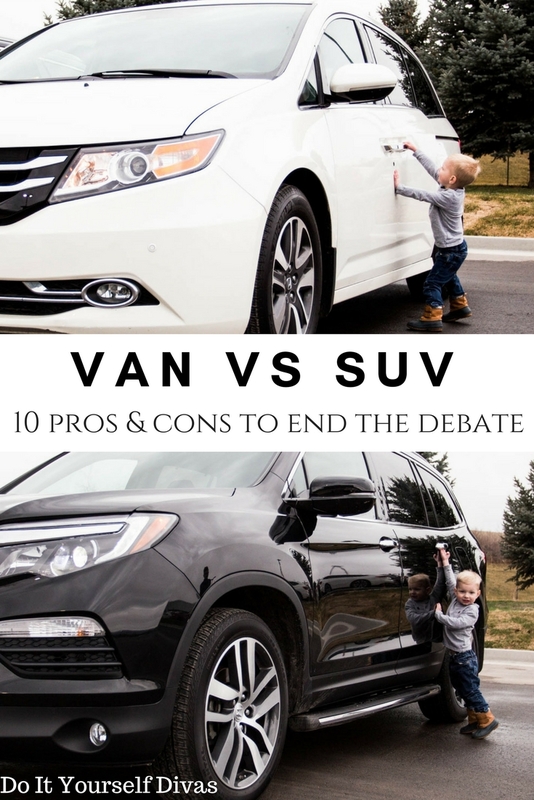 As a mom of 4 young kids, who has owned BOTH types of vehicles to haul the kids around in, I know a thing or two about vans vs SUVs and I've made my choice - it might surprise you. 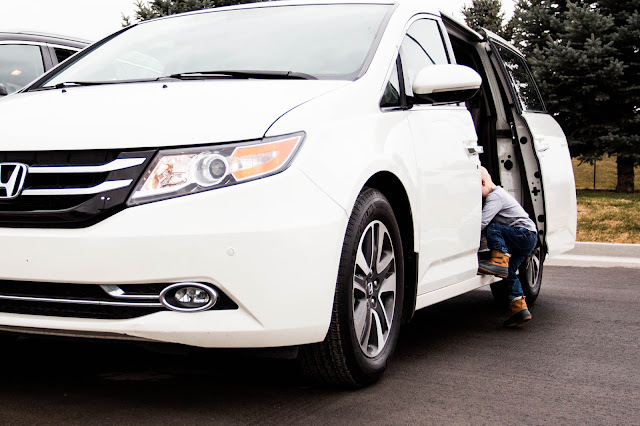 In the last 5 years, we've owned minivans, large SUVs, mid-sized SUVs, and even a 6-passenger full-sized pick-up trying to find the best fit for our family of 6 and our lifestyle. We've gravitated towards a minivan or mid-sized SUV and have been specifically impressed by the Honda Odyssey and Honda Pilot, but why? It's a real debate among America's parents. Here's a list of criteria that were important to our family and hopefully they can help you make an informed choice. 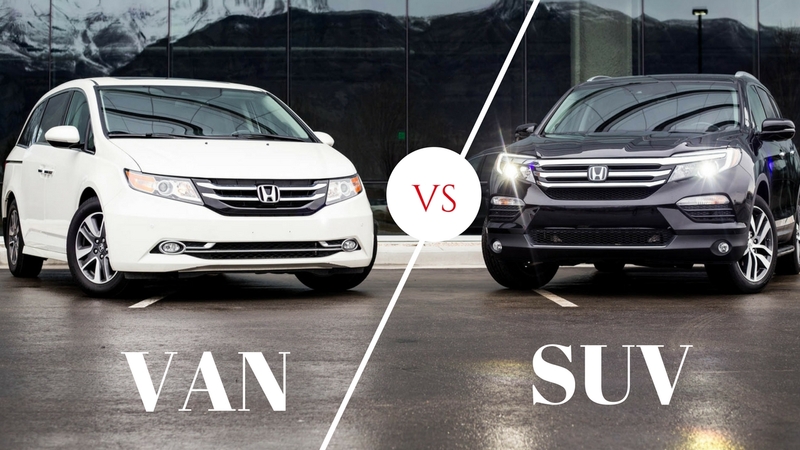 Let's break it down and explain why we think the Odyssey or Pilot meet the criteria best. Winner - Both. 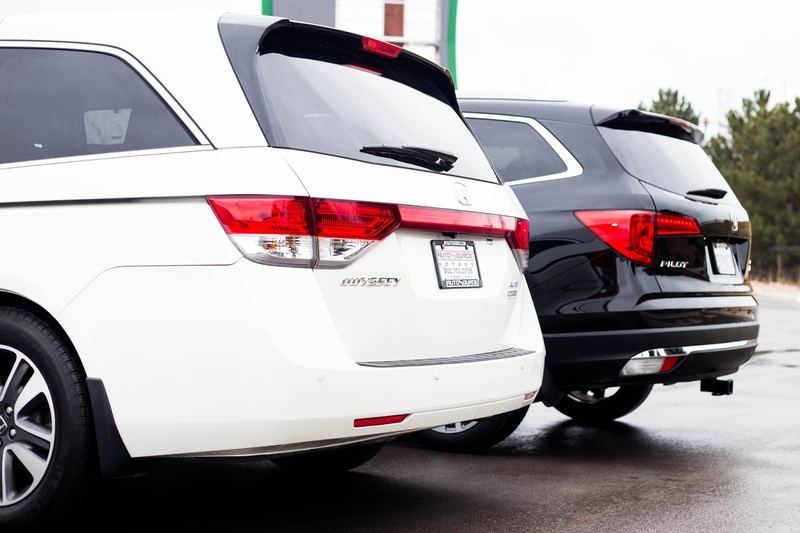 We like to keep car buying costs as low as possible since we have a large family. I mean, this entire blog is about saving money by DIYing. The Pilot and Odyssey are very similarly priced with the pilot being just a little more, and of course the package you get will affect the end price. In the past we have purchased cars that are 10 yrs old or older to keep the cost down. Over the past 9 months we switched to driving a rebuilt car from AutoSource. 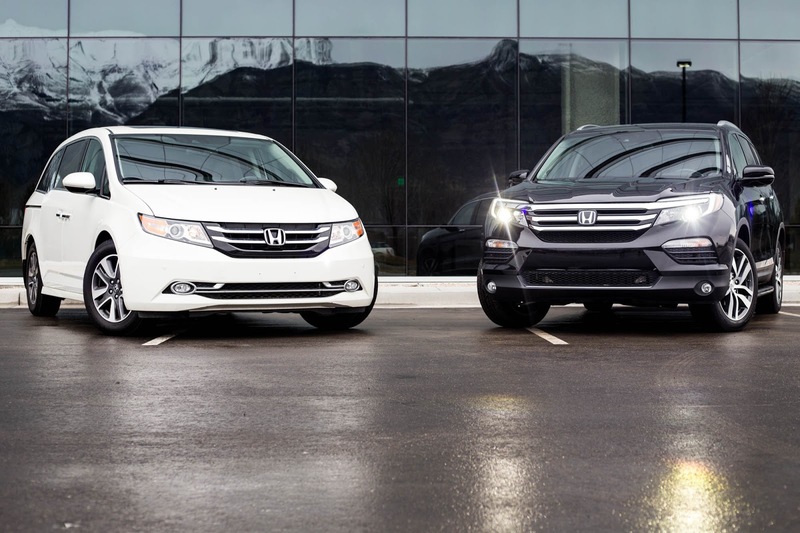 Both the Odyssey and Pilot in this review have rebuilt titles, and its nearly impossible to tell. 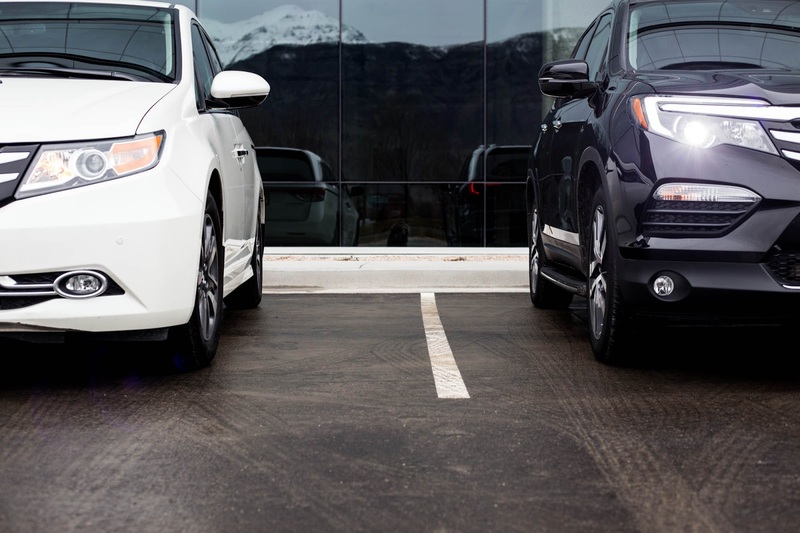 Buying a car that's just a few years old with a rebuilt title can save you thousands and they look and feel almost as good as new. You can read a quick overview of rebuilt cars here. Winner - Both. 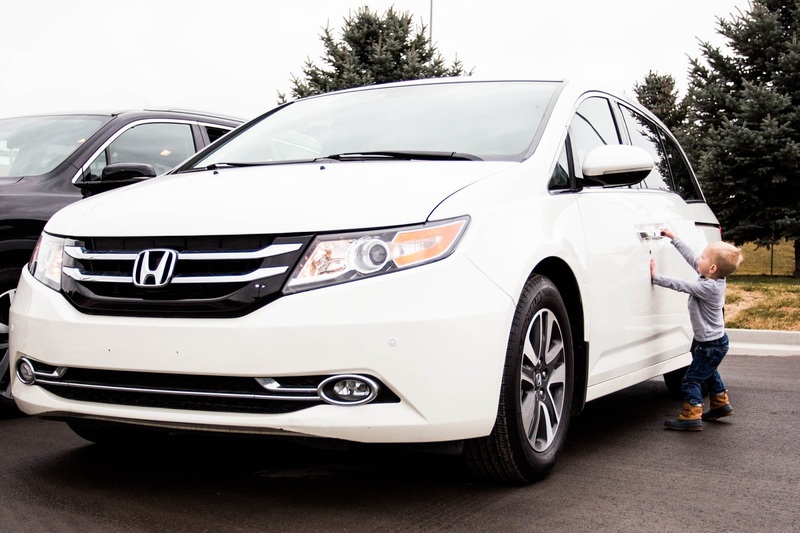 These are relatively fuel efficient vehicles, especially for a family vehicle. Between the Pilot and the Odyssey there isn't much of a difference. 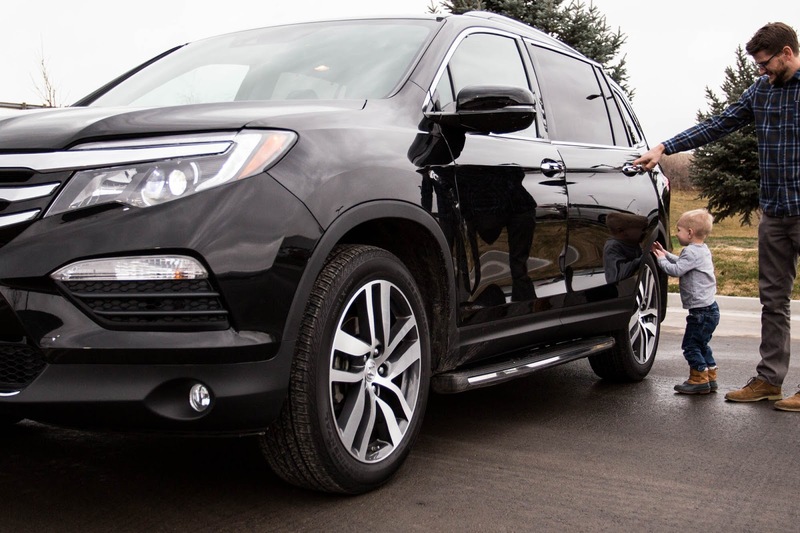 It's when you start looking at the large SUVs that you will find a true gas guzzler which is why we stay away from those. Again, we try to keep all costs down with a large family. Winner - Pilot. AWD or 4WD is really important to us since we live in Utah. There are some vans out there that offer AWD (Toyota Sienna) but we have always felt the AWD coupled with the higher ground clearance of an SUV is a better package. Winner - Odyssey. The Odyssey wins here, but the Pilot takes a very close second. Leg room in the van is quite spacious in the middle row and 3rd row. I'm not tall at only 5'2", but my 6' husband fits comfortably in the back as well. 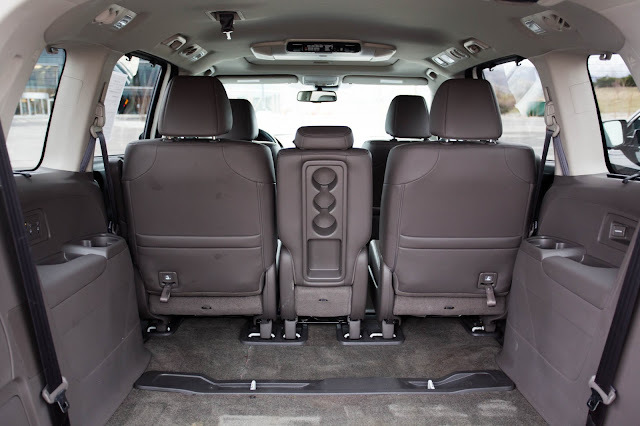 Leg room in the 3rd and middle row of the Pilot is nearly as spacious as the van, almost unnoticeable in our opinion. The 2016 and newer Pilot offers some really cool features that make it feel spacious and almost makes us forget about the Odyssey. Not all pilots have captains chairs but this Elite model does and that's one reason why I love it so much. 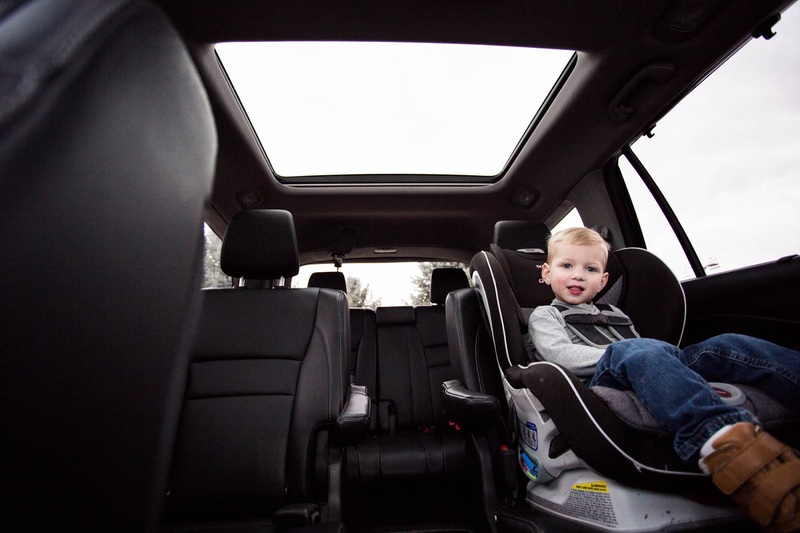 It makes getting into the back seats easy for the kids and their friends. If you get a pilot with a bench row, have no fear. 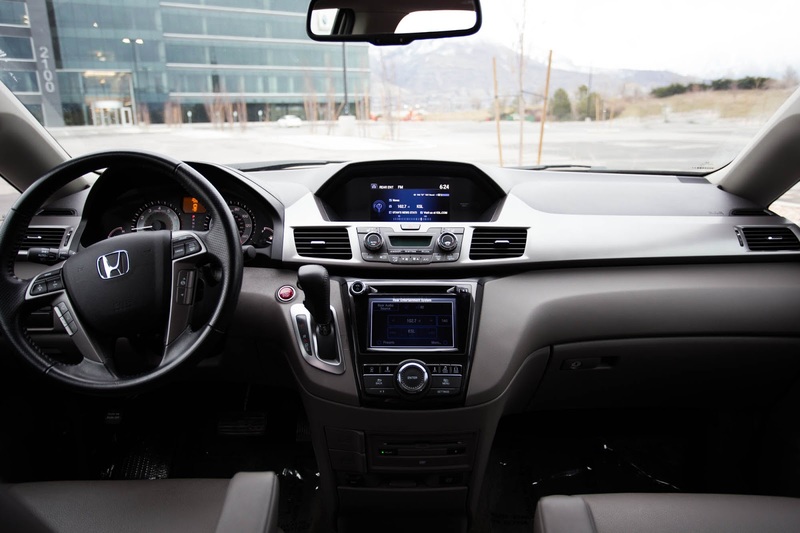 With a push of a button, the seat folds and slides out of the way so you can easily climb in the back. Even a toddler can do it! Winner - Odyssey. Notice the height differences of the handles on the Pilot and Odyssey. The van's handle is much lower than the pilot's which makes it easy for kids to grab - not that they really need to since mom or dad can automatically open them with their keys. Automatic doors are my favorite feature in a van. This convenience alone could cause me to buy a van. Little man needs help to get the Pilot door open. However, older kids can open the doors easily as they are aided by the light weight Pilot doors. Winner - Pilot. The minivan is a little longer in the wheelbase and body, (18" in fact) making it just a little more difficult to maneuver in parking lots as compared to the Pilot. 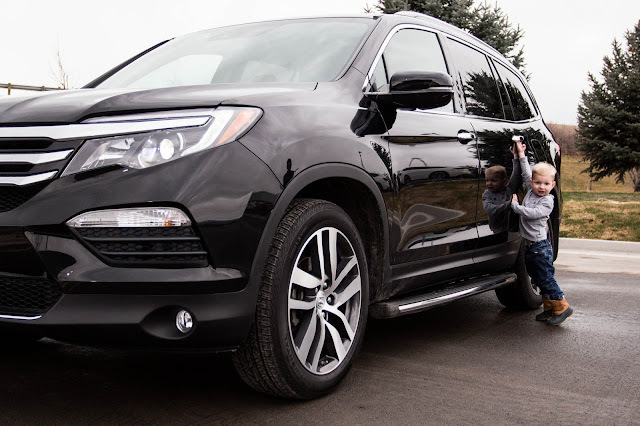 The Pilot is shorter in wheelbase and overall body length, which makes it, in our opinion, noticeably easier to maneuver in parking lots. 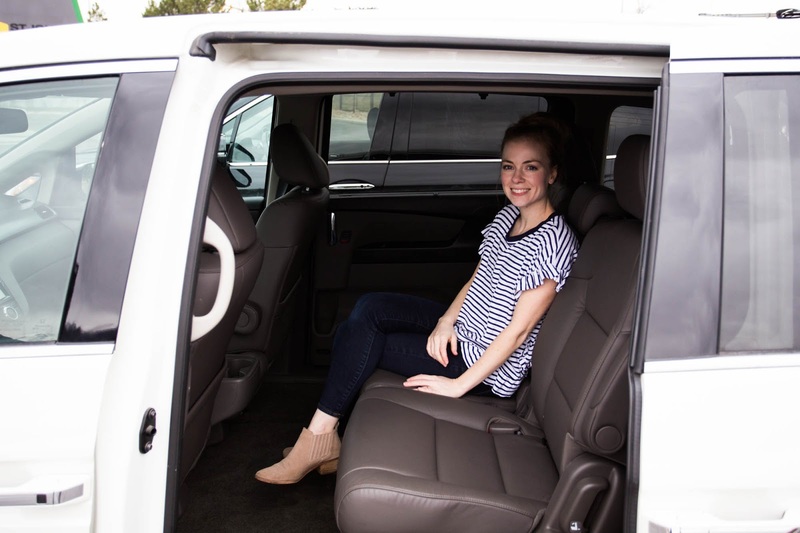 This of course isn't always a good thing since you loose a little bit of trunk space and leg room in the Pilot verses the Odyssey. Winner - Pilot. This was a close one and maybe the two vehicles are on slightly different schedules for updates, but the pilot felt like it was a little ahead of the game. To help keep my youth, I never overlook a good sound system, display, and bluetooth capabilities. Honestly, I can't complain about either one of these two cars capabilities, they are both excellent. Winner - Pilot. Although we have seen minivans towing trailers, I've often wondered if that hitch was originally installed for use as a receiver style bike rack and is now being used beyond its intended purpose (Quick Side Note: There are a lot of loading options for hitches out there. Make sure you get professional advice if you don't know which hitch fits your vehicle or your needs). Both vehicles are capable of towing, 3500 lbs for the van and up to 5000 lbs for the Pilot. The suspension of the pilot seems to handle the trailer tongue weight better than the Odyssey. Winner - Odyssey. Not surprisingly, the van wins this one hands down. Simply looking at the lift gate openings we can see a huge difference in size. The van has space for large objects like baseball gear, bulk food from Costco, and luggage. You will need to lay down seats in the pilot to get the same affect. Winner - Odyssey. 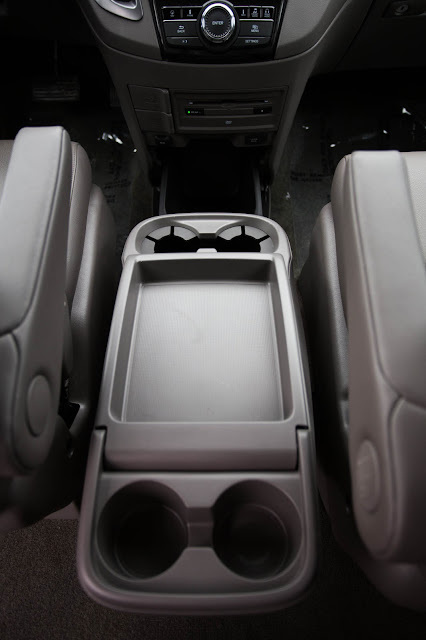 If you are a road tripper, the van has more than enough cup holders, a small cool box for drinks, and a vacuum for inevitable crumbs. What more could you ask for? So maybe, just maybe the Pilot isn't as cool as the van at this point. - AWD and higher ground clearance for Utah's snowy weather. - Better maneuverability. 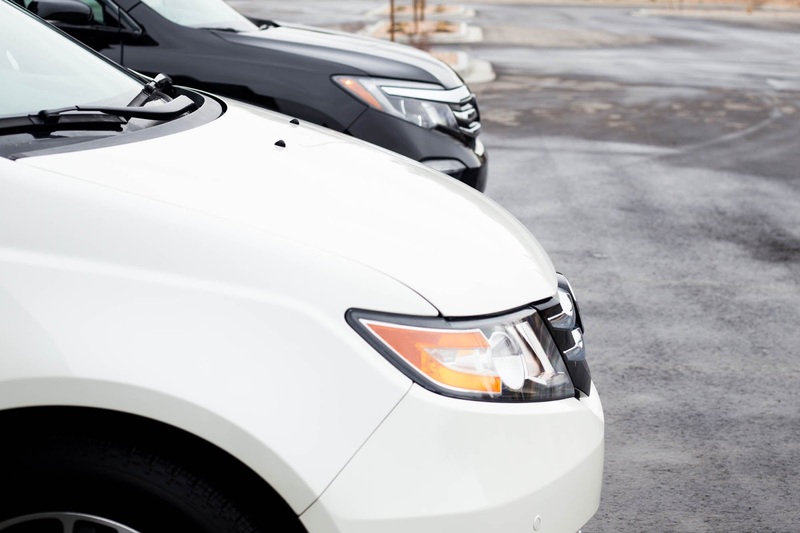 Since most of our driving consists of running errands and hauling kids to/from school and their activities, maneuverability in parking lots and tight spaces is crucial. 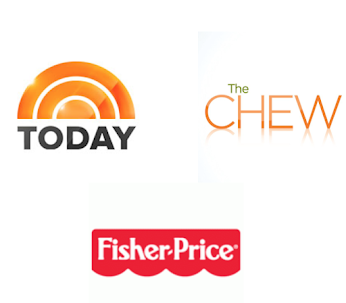 - Option to tow is important for our lifestyle and many DIY projects. 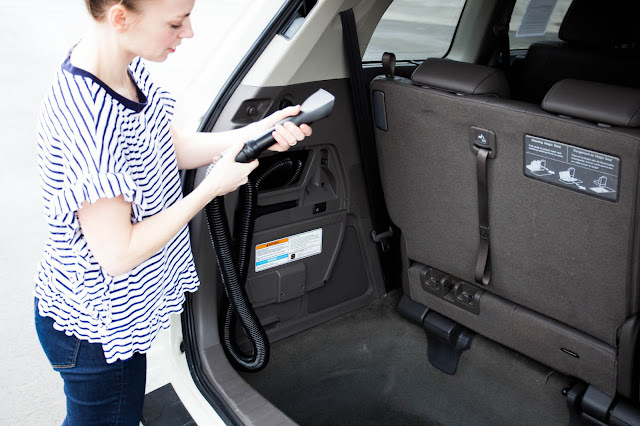 - The Pilot doors are lightweight and swing easily. 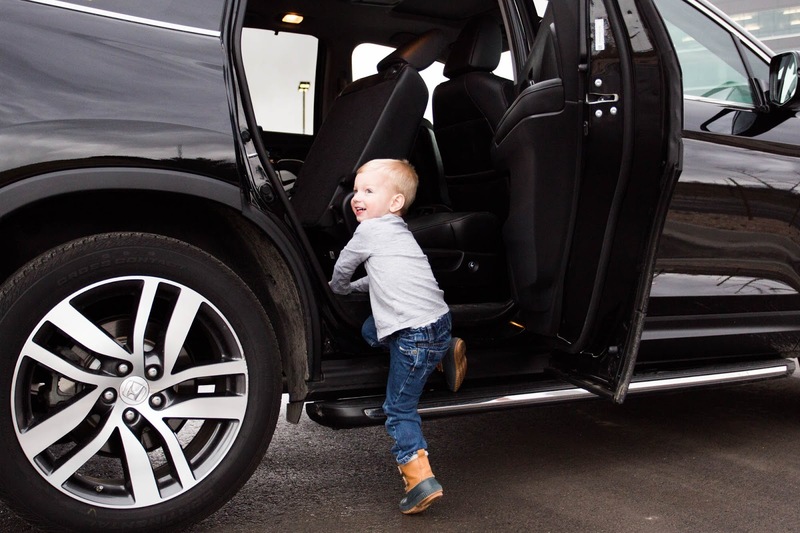 The Odyssey's sliding door is truly awesome, but our kids are all starting to get older so they can open the doors by themselves. - We love the look of the Pilot over the Odyssey. I know this wasn't one of our criteria for choosing between the two, but ultimately, it did make the decision easier.